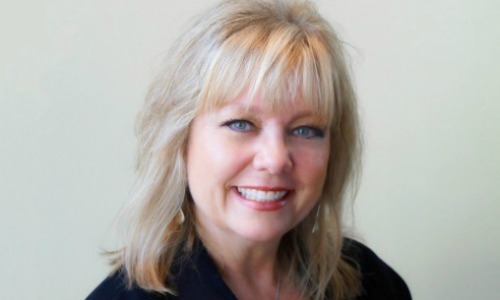 Are you ready to take the reins and make 2019 work FOR you? Three simple steps can completely turn around a lack of productivity and give you an increased ROI (return on investment) for your time. Intentional use of these three tools can help bring in abundant fruit from your labor. What are these three gems? Clarity. Focus. Action. In 2019 my hope and prayer for each of us is that we will be busy doing what we are called to do. Maybe you have been putting off writing that new book. I know I have. Or maybe there is a dream inside you that keeps coming back up and you keep wondering if you should move toward it. Yes. Go for it! And even if what you need to be doing is resting, I hope that you rest wholeheartedly, allowing the rest to produce fruit in you that will bring strength and vision and health and whatever else you need. Stepping into 2019 is like breathing in fresh, unpolluted air. New years represent fresh starts. Renewed vision. Restored opportunities. Advancing. Building on what’s been accomplished already. I love new years! Of course, we can have fresh starts and all that goes with them at the beginning of each new day, too. Or even each new minute. We don’t have to wait for a new year. But there is something about a new year that brings energy, excitement, renewed vision and hope. 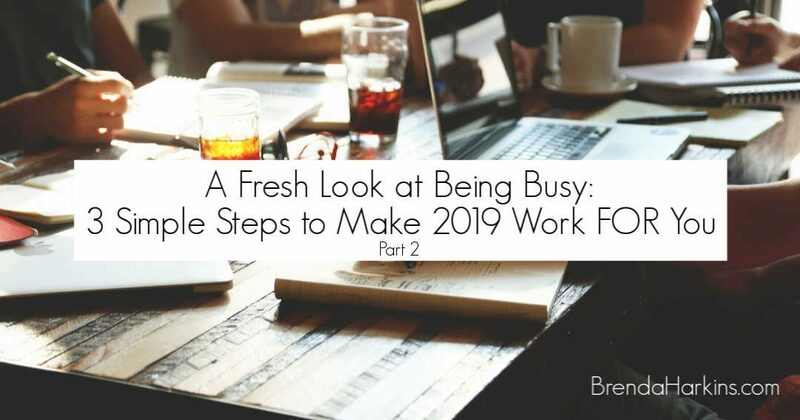 Part One of this article A Fresh Look at Being Busy: Make 2019 work FOR you! talks about looking at what we put our action and attention toward and checking to see if all that effort is moving us toward our desired outcome. Doing a lot doesn’t necessarily mean we are getting a lot done. But getting a lot done can be simple if we let it. Not easy, but simple. Here are the steps. 1. Determine with CLARITY what you want. What is the dream? 2. FOCUS on establishing a strategic master plan with deadlines along the way that move you continually closer to the fulfillment of the dream you just clarified. 3. Work the plan. Just do it. Success requires ACTION. Without desired outcomes being clearly defined, we just wander around hoping for the best. Clarity is a necessary first step for moving toward productive, fulfilling, life-giving achievements. So let’s start there. First define the dream, goal, expectation, or whatever it is. If you don’t get clarity on what you want to accomplish, you are just shooting in the dark hoping to hit something, you’re not sure what, but maybe whatever it is will win a prize, feel good or look good. On a scale of 1-10, with 1 being “foolish” and 10 being “luck”, how effective do you think that strategy is? Clarity defines your dream. This requires some quiet time of reflection to get the clarity you need to know what to pursue. You may thrive on quiet time and reflection. That’s great! But if getting quiet and reflecting are a challenge to you, and you would rather be up doing, remind yourself that doing doesn’t necessarily equate to getting things done. And THIS is the year to get some things done that you have been wishing and hoping for. Make it happen. Start with getting quiet and getting clarity. Write it down. Get specific on what you want. Take the needed time to think, ponder, write, discuss or pray about what it would look like to hit the mark this year. What does it look like? What does it feel like? What does it produce? Who does it benefit? Why is this important to you? Get CLARITY. Dreams alone are only good for those who feel truly fulfilled by sitting around thinking of what could be. I don’t know anyone, honestly, who is truly fulfilled by that. Even dreamers who love dreaming have a longing to experience living their dream. You may have heard the saying, “A dream without a plan is just a dream”. This indicates that dreams are not enough, and that is true. Planning takes a dream from the hoping stage into the outlining stage of how to actually make it happen. Planning is super important. It keeps us on track and helps us stay away from the up and down roller coaster of unproductive activity. Planning increases the potential for making the most of our time, and since time is the only gift we can never get back, I hope you value your time as the treasure it is. So how do we get a plan? After we get CLARITY on what the dream is, FOCUS on strategies that can move us out of hoping and wishing into planning and doing. FOCUS is required to establish the steps needed and timeframes expected to complete each step. Map out some actionable steps that have reasonable deadlines to start working on. As this takes shape, you will begin to see your dream much clearer. Analyzing and strategizing may energize you. If so, you are definitely in your playing field now. But if not, reach out to someone who can help you break the plan for each desired outcome down into actionable steps. Big picture thinkers sometimes have trouble getting small enough in their heads to know which step to take first. Get an analytical friend, associate, or coach to help you. What seems daunting to some is energizing to others. Don’t hesitate to ask for help. FOCUS on getting those strategies. And if you are a person of faith, ask for divine strategies. When Jericho was conquered it wasn’t by sheer force. It was by a crazy plan given to Joshua by God that didn’t make any natural sense. But it brought victory. So FOCUS on getting a plan. FOCUS on the steps needed for accomplishing your plan. In the same way that a dream without a plan is just a dream, a plan without action is just a plan. Just because we have a plan with the steps needed to accomplish the dream doesn’t mean we will get it done. We have to actually work the plan. We have to commit and discipline ourselves to do what is in the plan. As each new goal is accomplished, you will feel energized and ready for the next one. This makes room for the big plan to unfold within the timeline you set…one step at a time. ACTION. Without it, there is no success. Action may be something you thrive on. If so, you have a plan and are ready to run with it at this point. Congratulations! Just be sure your action is focused on the steps needed today for where you are going on your timeline. And if action is a challenge to you and you are more of the planner type, you are now challenged with the discipline of behavior change. There is no easy way to do it. You have made it simple. You have the steps. But the hard part is to now making the decisive choice to do things differently than in the past. Decide to take the plan and move on it. Today. One step closer. Decide. Then just do it. Make this your year for change!